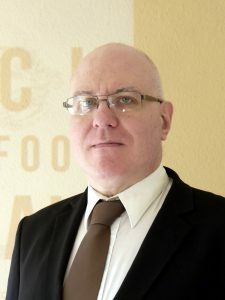 Event plug: Angela Walch and Edmund Schuster are doing afternoon talks this Tuesday, 4 September — Cryptoassets And The Law. 12:30pm to 3pm, London School of Economics, room PAR.1.02. This should be awesome, if you can make it. I can’t, but you should. Change of venue for our workshop "Cryptoassets and the Law" with @angela_walch on Tuesday @LSELaw – see updated info below. CBOE, who offered the first US-regulated Bitcoin futures contract, are working on Ether futures! These will mostly be set against the price on Gemini. They’re aiming to launch at the end of 2018. CME, who offered the second US-regulated Bitcoin futures contract, think the idea is terrible and have no plans to offer such a thing in the foreseeable future. This all will work out swimmingly when Ethereum goes proof-of-stake and everything about the economics of ETH is decided by the biggest holders, who got that way in an incredibly centralised presale. Good thing it’s not a security. Coincidentally, Bitfinex’s hosting provider restarted their trade matching engine just as the CME futures contract was expiring! What are the odds? The Venezuelan Petro turns out to be unobtainable, as well as untradeable. There’s no evidence this was anything other than a scam to get hard currency from the sort of investors that even other crypto investors think are a bit thick. This story is a great read. The perfect cryptocurrency, in every regard! The blockchain conference in North Korea is apparently a thing that is happening! A journalist at an unnamed major news outlet who write about money emailed them, asking if he could come. Alejandro Cao de Benós, a Special Representative of the Foreign Ministry of North Korea, emailed back saying that no press was allowed. I have also been told by the loved one that I can’t apply to go either. How annoying. CSIRO is conned into another IBM pilot programme, to make an Australian National Blockchain. Surely a worthy successor to the National Broadband Network! Despite hackers rooting the device — giving them complete control over it — BitFi still claimed their wallet was “unhackable”, because the private key to your cloud wallet only “persists in memory for a short amount of time … if your device is seized or stolen, an attacker or whoever takes it is going to find nothing in memory.” So it’s unfortunate that the device doesn’t clear its memory on reboot, and that rooting the device doesn’t clear the memory either. BitFi has now removed the word “unhackable” from its marketing, and closed its bug bounty programme. If it's left on, and has the phrase entered since it was started up, cold boot will work. If it's powered off, an "evil maid" payload can be installed in a few seconds that will steal the information next time it's entered. Neither attack requires opening the case. In another top-notch university liaison with the blockchain industry — also at Oxford, like Saïd’s, which I covered yesterday — Professor Bill Roscoe at University College Oxford literally promises “green mining technology” from the new University College Oxford Blockchain Research Centre. The industry funding is largely from Chinese local governments via Chieftin, the fintech startup he runs with his past student, BangDao Chen. This all seems completely above-board and transparent — they appear to have done this as properly as they can — it’s just a pity that it’s the computing equivalent of your university being sponsored by an unusually well-funded homeopathy organisation. Dig this clip from Shenzhen TV, of Roscoe promoting AI on the blockchain, for personal identification by facial recognition when shopping — due by the end of this year! Whenever you see a remarkable headline about crypto uptake, it’s made-up rubbish. CoinBase are publicising a survey revealing that 18% of students buy cryptos!! Note how CoinBase don’t give any of the survey sample details, nor the precise question wording. The survey was run by Qriously. They run self-selecting surveys — not statistically valid — as phone ads — self-selected, from a sample in serious need of correction, and with no validation that anyone is who they claim to be. The other favoured trick is to run them on Pollfish, which is similarly self-selected and not validated. 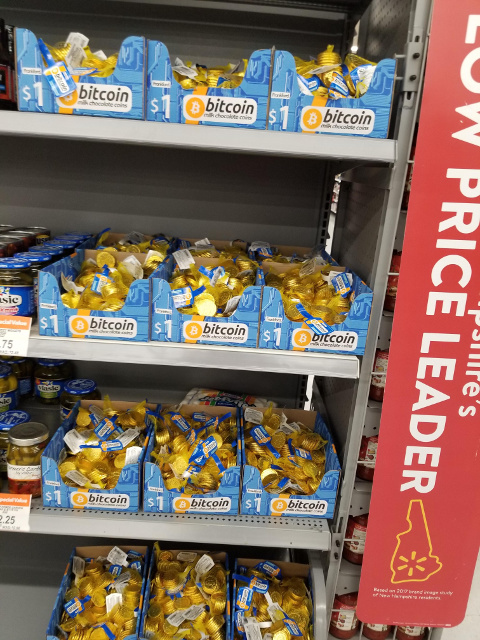 There’s a great paper from September 2017, “What Drives Bitcoin Adoption By Retailers” by Nicole Jonker, which G. C. Pieters recently tweeted about. De Nederlandsche Bank surveyed online retailers at the end of 2016, asking the same questions of those who accepted Bitcoin and those who didn’t. Only 2% accepted cryptos at the end of 2016 — compared to 21% accepting cash on delivery. Tim Draper was big on Bitcoin and Tezos and thinks Theranos was hard done by — rather than a stupendous and dangerous fraud, whose perpetrators got off incredibly lightly. The book on Theranos, Bad Blood by John Carreyou, is 99p on Kindle UK and $1.29 on Kindle US today. This book is also a cracking read. Not crypto, but crypto followers will find a lot of the public relations shell games eerily familiar. 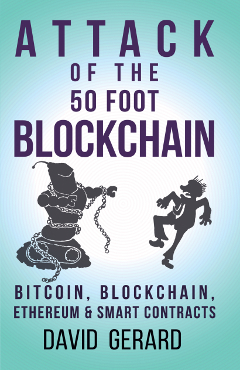 Quinn DuPont’s book Cryptocurrencies and Blockchains is finally available for pre-order on Amazon (US, UK), for release in December. This should be good. The Economist’s Technology Quarterly pull-out came out yesterday, and it’s a crypto special. This is good and worth reading, and namedrops me a couple of times. In print! Cheers to Tim Cross. Americoin: The Musical! This is the best thing you will watch today. The correct price for a bitcoin is one dollar — but only for bag holders. Don’t forget to put them into cold storage! To be fair, not all the people pushing blockchain for voting are idiots. Some are criminals. Every time someone says "blockchain can do X", change to "Merkle trees can do X for less". Less likely to get you seed funding but truer. I'm told that I'm being very disrespectful by referring to the Blockchain as a mere data structure, and that it is more like a way of life. I apologize to any computers I've offended.